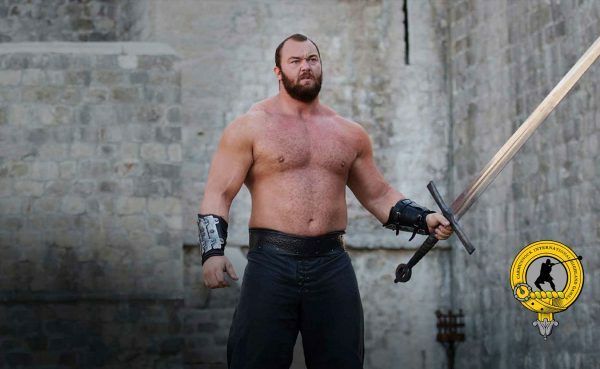 We are overwhelmed to announce that Hapsthor Julius Bjornsson, alias THE MOUNTAIN, of the hugely succesfull TV series ‘Game of Thrones’ will be our Chieftain for 2018. Hapsthor, a living legend not only in film and screen, has just recently secured victory in the highly coveted ‘Europe’s Strongest Man‘ title and is curently competing in this year’s World’s Strongest Man. Thor agreed on his first visit to Scotland on one condition – to follow in the footsteps of his childhood hero, Jon Pall Sigmarsson, and reside in the village of Carmunnock for the duration of The Carmunnock Highland Games. Words cannot express how excited we are and how much we look forward to seeing you all on the 27th May 2018, with our magnificent Chieftain.